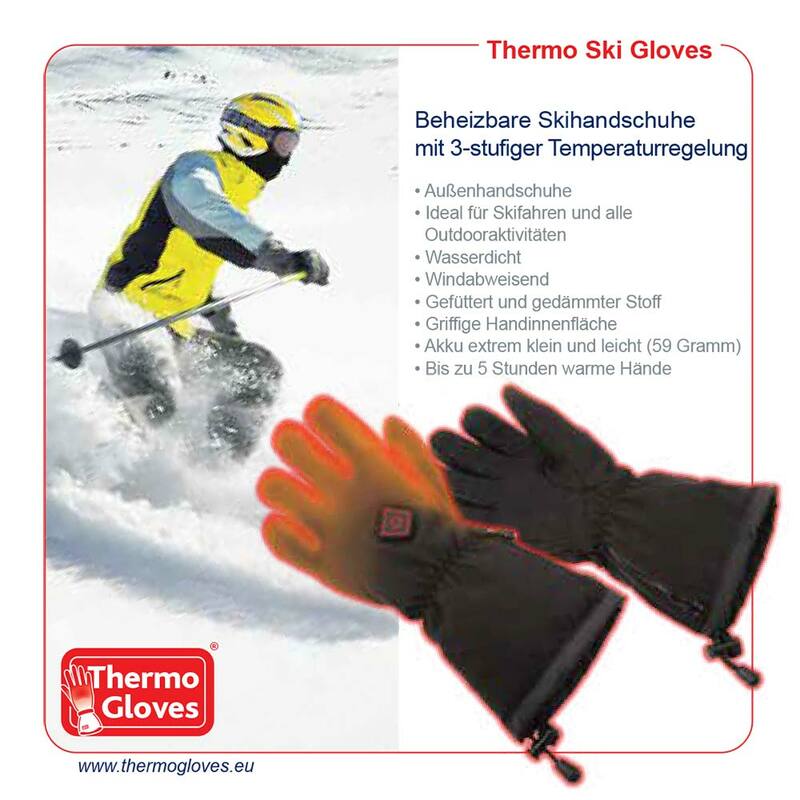 The Thermo Jacket is available now for an introductory price of only 199,-- € and the Thermo Vest is available now fro an introductory price of only 149,-- €. The jacket is made of a soft-shell material and thus, is wind and rain repellent, dries fast and is breathable. This means that no water can penetrate from the outside (Waterproof Rating 17.340 mm, which means rainproof and waterproof under heavy rain and wet snow), wind is kept out and perspiration can easily be released from the jacket. The soft-shell combines the outer and middle layer of clothing in one product and thus, is a great alternative to the classic onion principle. On the outside, it is a normal f abric jacket, which is exceedingly robust and protects against moisture. Inside, the body climate is kept at a constant and due to the elasticity of the soft-shell material, you have an enormous freedom of movement. 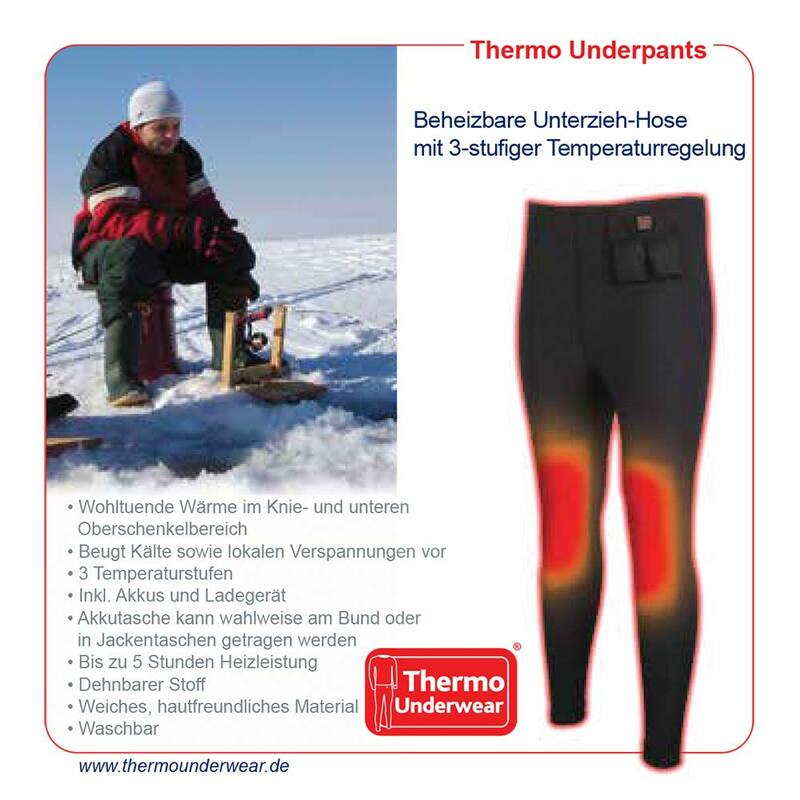 That is why you do not need to wear anything more than a lightweight fleece under the THERMO JACKET. 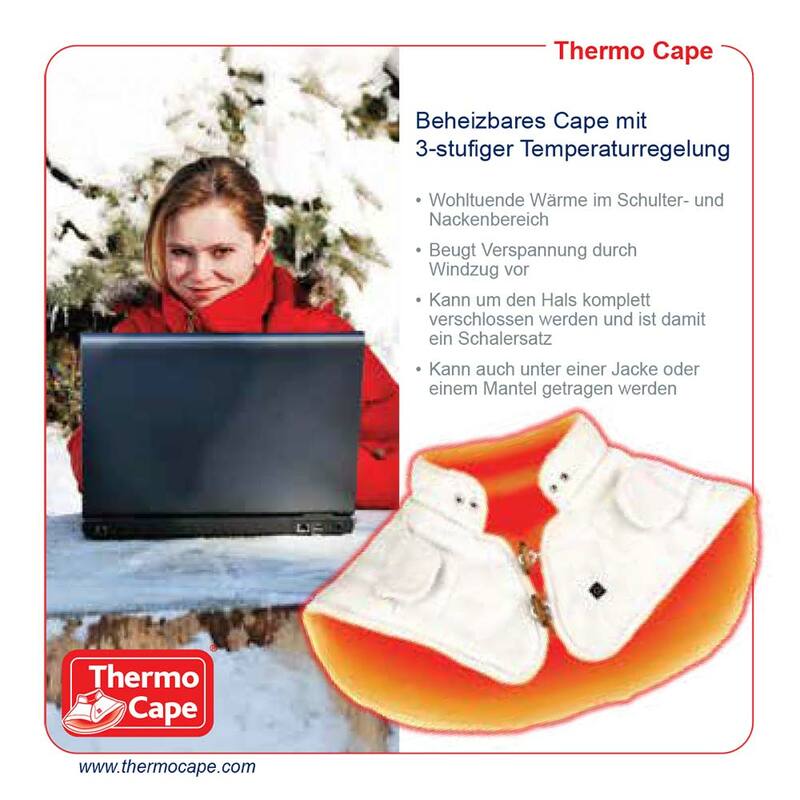 Additionally, the THERMO JACKET can be heated in the back and torso area by means of the two accompanying batteries so that you do not have to freeze in the icy cold. The THERMO JACKET offers optimal wearing comfort due to the soft-shell fabric utilised. It is elastic and stretches and thus, very comfortable to wear. Additionally, it offers a lot of freedom of movement for outdoor athletes. Icy cold can quickly lead to painful tension in the area of the shoulders. When the back muscles get tense, every movement is torture. The THERMO JACKET provides you with the necessary heat in the back and torso area to ease cramped muscles and increase your feeling of well-being. 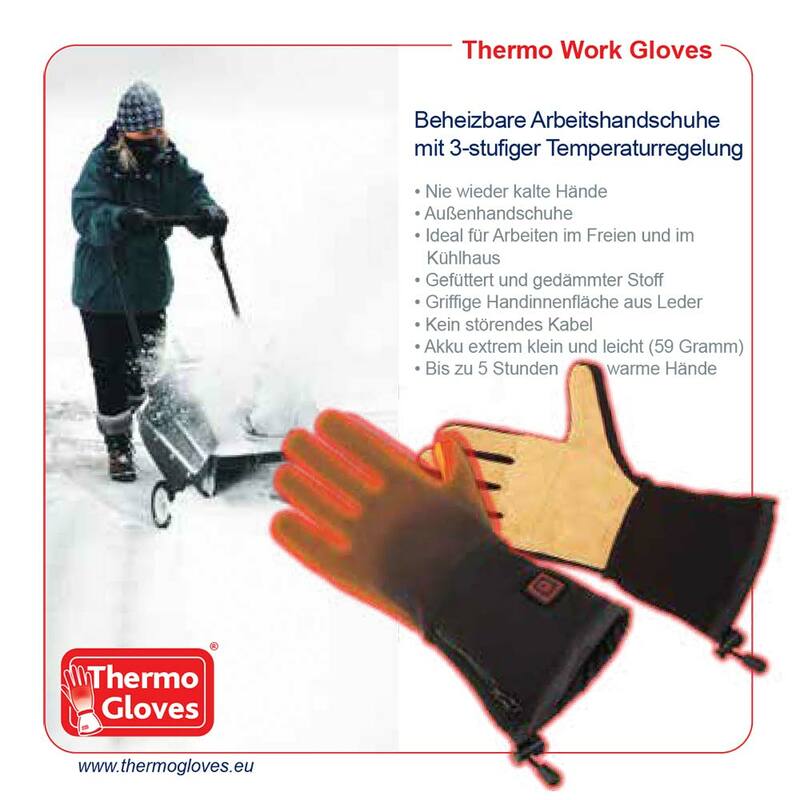 The THERMO JACKET has highly flexible heating elements made of carbon fibres in the back and torso area, which keep them warm. 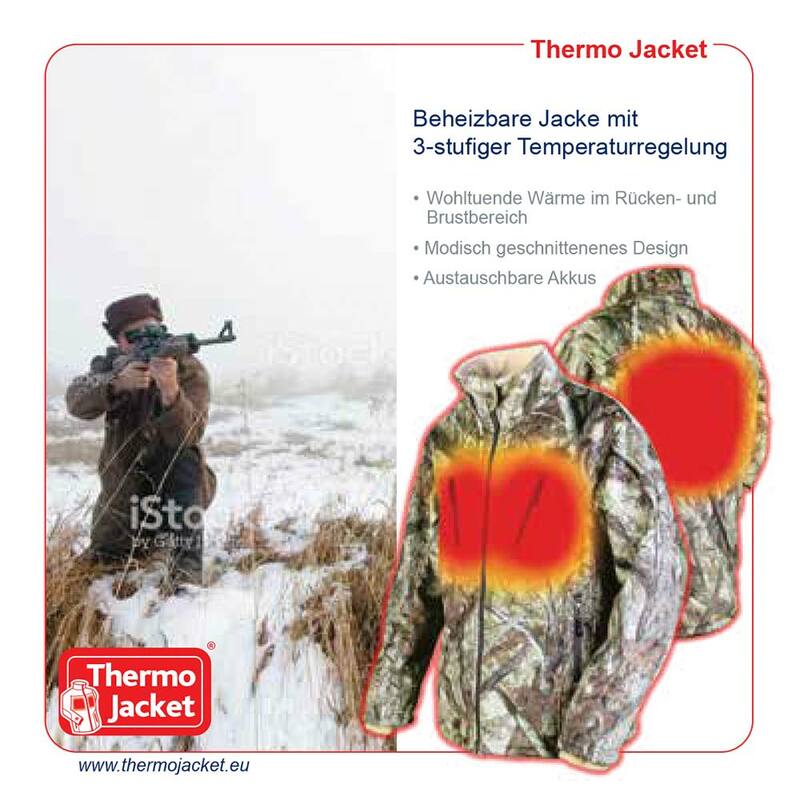 THERMO JACKET has 3 different temperature levels, e.g. 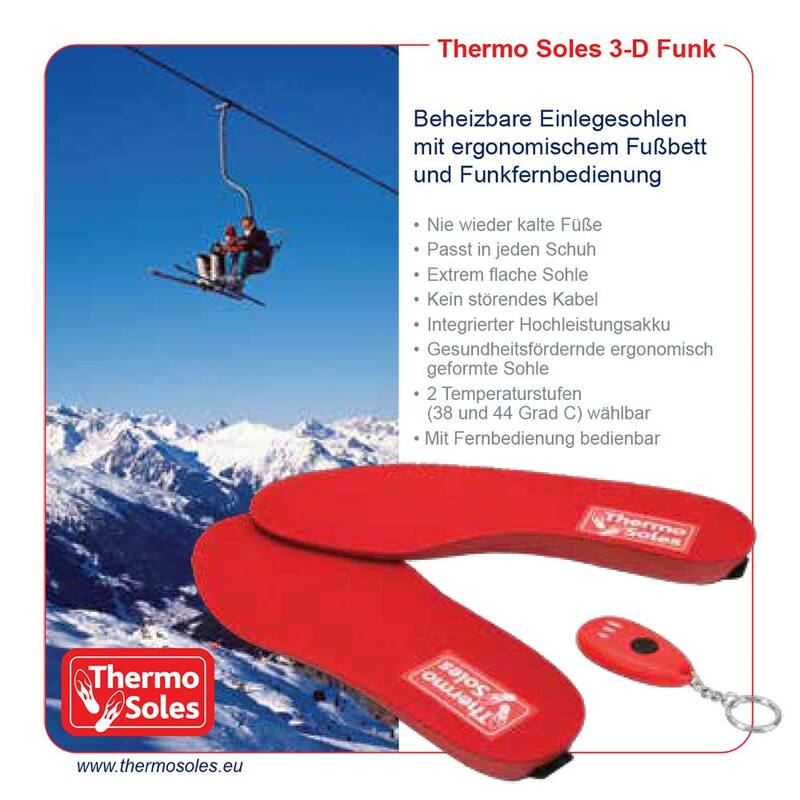 34 degrees Celsi us, 39 degrees Celsius and 44 degrees Celsius that you can select and adjust to your personal needs. Depending on the heat level, the battery life is up to five hours. 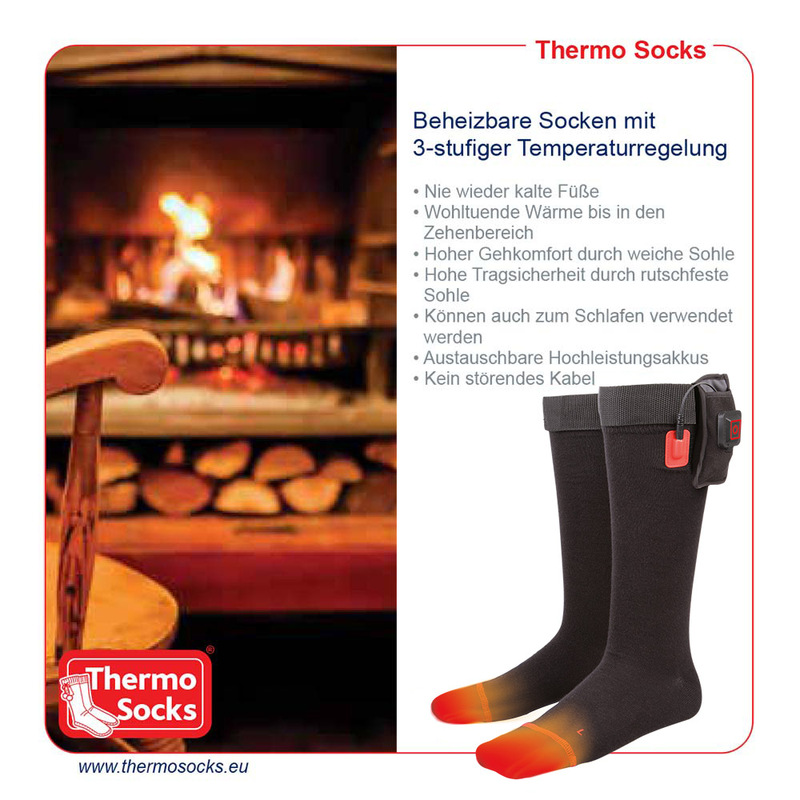 If soiled, the THERMO JACKET can be washed or dry-cleaned without any problems. 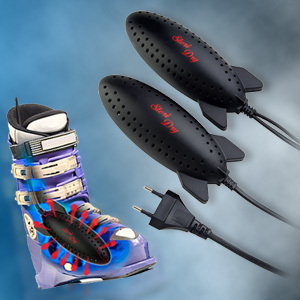 The accompanying batteries are lithium polymer high-performance batteries that do not possess a memory effect and can be recharged up to 500 times. Furthermore, each battery only weights 59 grams and is very light so that you do not even notice it on your body. The THERMO JACKET includes two batteries and a charger. The THERMO JACKET has four zipper pockets and provides enough room for stowing all the important things you need for a day trip. Additionally, the high collar protects against bad weather. With this heatable gilet you are ideally equipped for the transition seasons of spring and autumn. 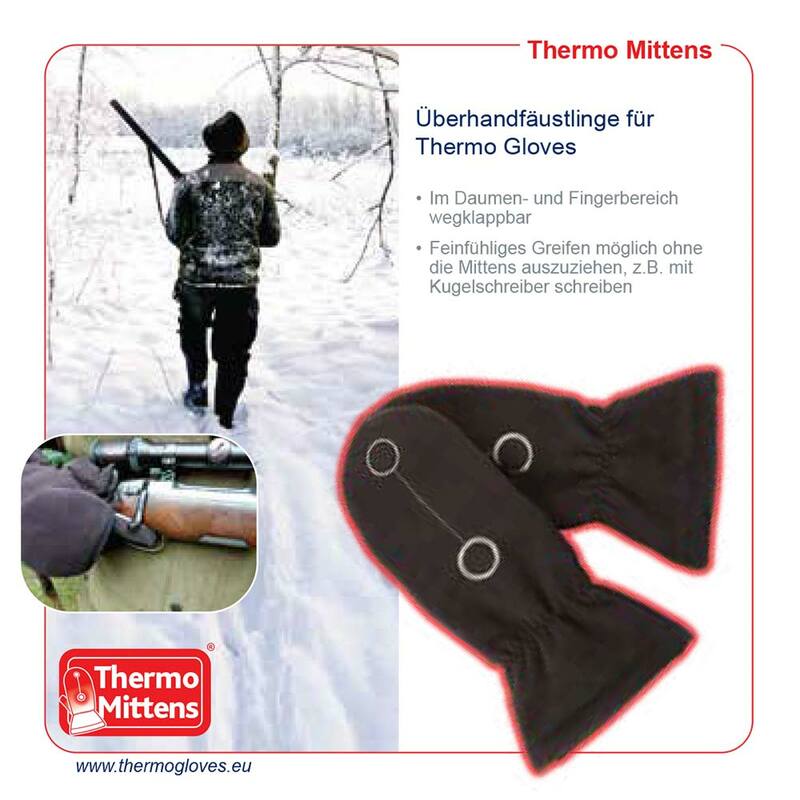 Due to the lack of sleeves you won’t become too warm on sunny days when doing sports such as horse riding, hiking, hunting, fishing, skiing, ice skating, etc, but if it suddenly becomes cloudy, then you can turn on the built-in heater and adjust the temperature using three different settings. 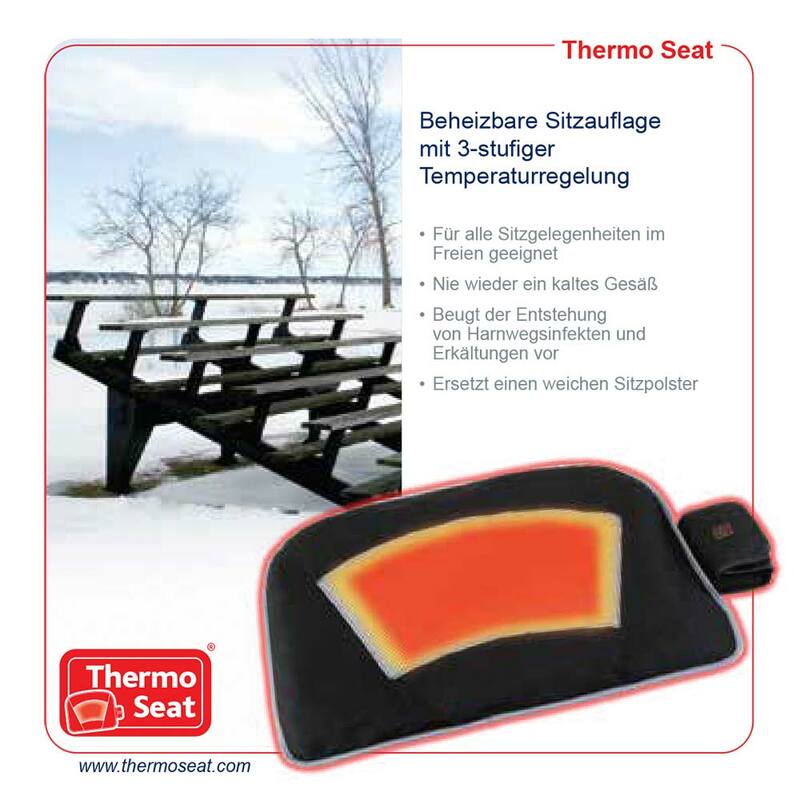 The heating elements of the THERMO VEST are located in the back and kidney area and provide added warmth as needed. Therefore, it isn’t necessary to take additional clothing with you such as sweaters or jackets during transitional seasons. The THERMO VEST offers optimal wearing comfort due to the soft-shell fabric utilised. It is elastic and stretches and thus, very comfortable to wear. Additionally, it offers a lot of freedom of movement for outdoor athletes. 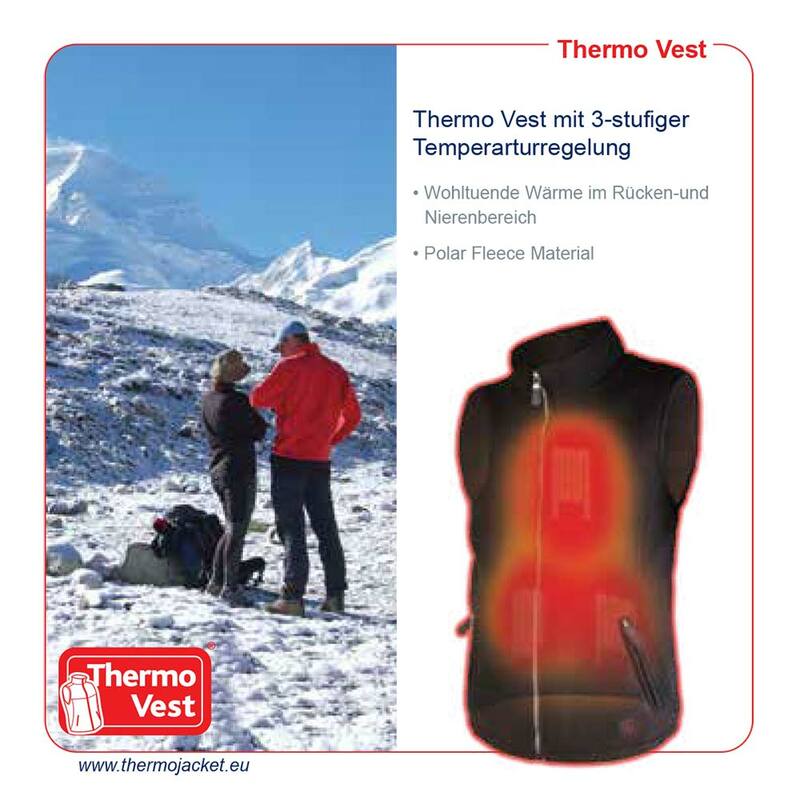 THERMO VEST is adjustable by push button. 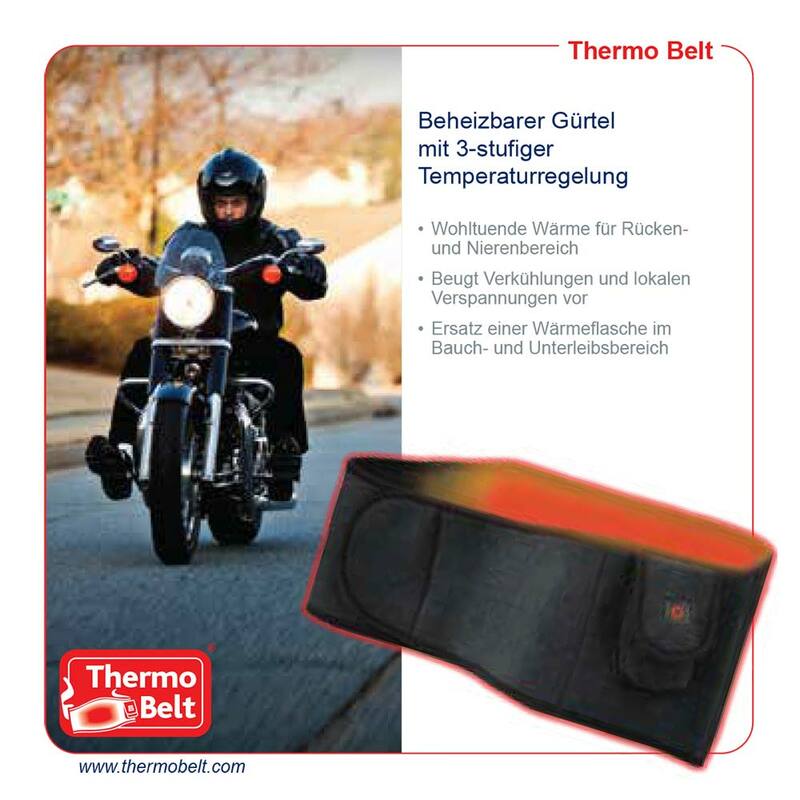 This allows you to reduce or enlarge THERMO VEST to achieve a perfect fit in the hip area. 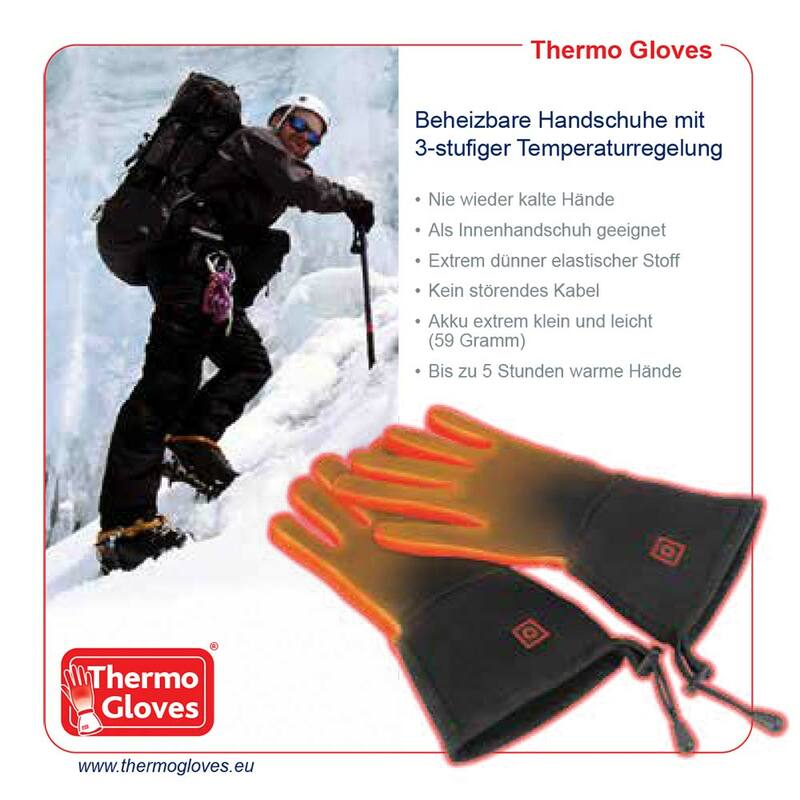 THERMO VEST has 3 different temperature levels, e.g. 34 degrees Celsius, 39 degrees Celsius and 44 degrees Celsius that you can select and adjust to your personal needs. Depending on the heat level, the battery life is up to five hours. 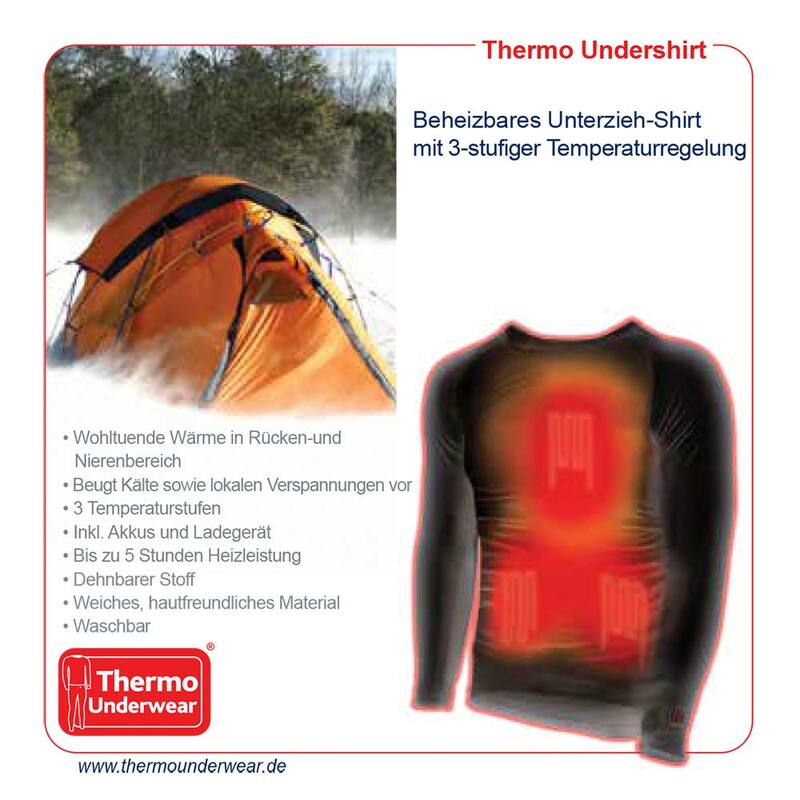 If soiled, the THERMO VEST can be washed or dry-cleaned without any problems. The THERMO VE ST includes two batteries and a charger. The THERMO VEST has four zipper pockets and provides enough room for stowing all the important things you need for a day trip. Additionally, the high collar protects against bad weather.